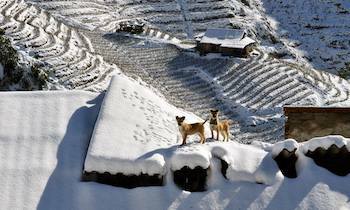 Sapa is a tourist destination more than 30 km from the center of Lao Cai city. 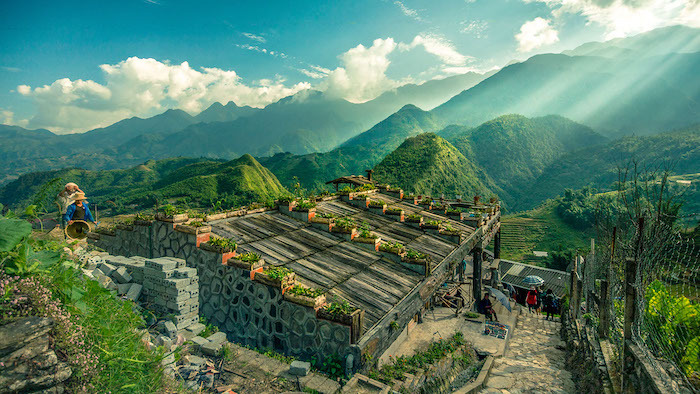 Situated at an average altitude of 1500 - 1800 meters above sea level, Sapa Town is always in a breezy cloud, creating an exotic and beautiful picture. 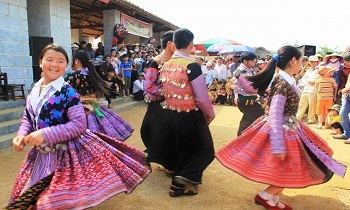 Here, there is an invaluable resource that is cool fresh year-round climate, with an average temperature of 15-18 ° C.
Must-see: the Mong ethnic villages such as Cat Cat, Ta Van, ethnic minority Dao Ta Phinh, the terraced fields in Sapa, easily found on the road to the ethnic, O Quy Ho Pass, Silver Waterfall, Ham Rong Mountain where you can admire the panoramic view of Sapa misty city. Time: 2 days three nights, or 3 days four nights. Transportations: berth cars, trains, and motorcycles. To go to Sapa, you have two options is to go by train or berth passenger car. With the berth train, it will be noisy but not carsick. However, at Lao Cai Station, you have to take the car to go up to Sapa about 30km. 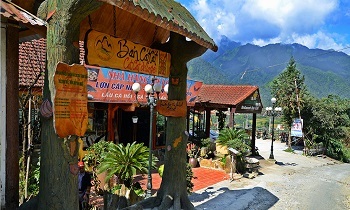 Usually, if you book a hotel in Sapa, you should ask them to pick you up at Lao Cai Station. If you buy a train ticket, it will be cheaper, but sitting all night is a bit tiring. With a berth passenger car, there is a direct trip to Sapa, the price of a berth passenger car is cheaper than the train ticket, but it may be less safe than the train. The schedule below is a summary schedule. You can go by car or motorbike. 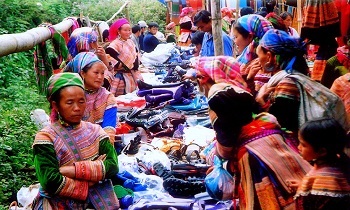 At the bottom, there is a schedule for backpacking in Sapa with further destinations such as Y Ty. Day 0: You take the passenger car or train to Sapa. Arriving in Sapa around 7:00, you send the luggage to the hotel. You can rent a car if you travel in a big group. Because there is a long journey in the night so on the first day, you should do so comfortably, gently, and not much walking. 8:00: Go to the peak of O Quy Ho Pass, watch the clouds. In the early morning, standing at the top of the Pass will feel very comfortable. 9h15: On the way back to Sapa, you spend the time to visit Silver Falls, (about 1 hour here). If you like, it will be able to sit snack at the bar Street Grill. 11h00: Arrive Sapa, check in hot, then bathe to relax. After that, have lunch (you should spend about 30 minutes for lunch break). 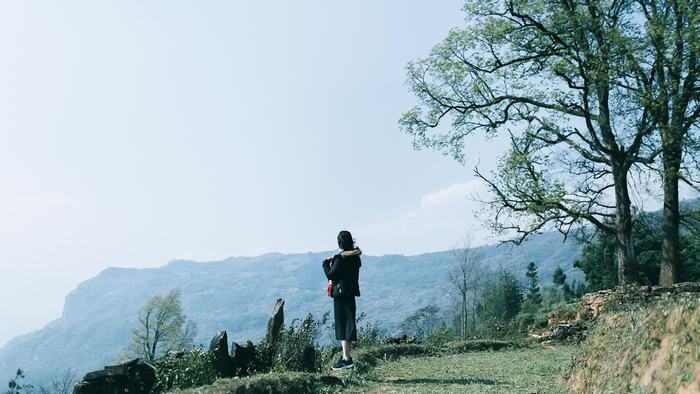 14h00: You can go hiking in Ham Rong, walk around the flower garden, and climb to the top of the mountain to admire the panoramic view of Sapa. 18h30: Early dinner to go out to play. Walking around the city of Sapa, visit some barbecue restaurants along the road if it is the cold season, then go for a broth. 8h00: Depart to Ta Van, on the way to stop some points to take pictures. If you like trekking, you take a car, then trek from Lao Chai to Ta Van. You can hire a guide to go with you. If you ride a motorbike to Ta Van, then continue to the rock field, and if it is early, go to Ban Ho (go to Ban Ho if you stay three days and two nights, and transfer Cat Cat to the next day). 11h00: Return to Sapa for lunch. 13h00: Continue to Cat Cat. On the way pretty scenery, you can stop at the viewing platform to take pictures. Send the car then walk down the plate, down to the Falls to play. 15h00: If you go in 2 days three nights by train, at 15h, you should return to Sapa and prepare to board the car down to Lao Cai Station. 16h00: If you travel in Sapa 3 days four nights, at 16h, you return to Sapa, or depending on the time you go. Have dinner and rest after a day of walking tiredly. 17h30: Bathe Dao’s medicinal leaves to regain spirit, as well as try to bathe the national medicine. 19h00: Coming to Sapa in the cold season, you should try the hot-pot dishes. The reasonable price is the Food Market right next to the square. 8:00: Last day, you feel pleasant to wake up late. After breakfast, you arrange the time to visit Ta Phin. 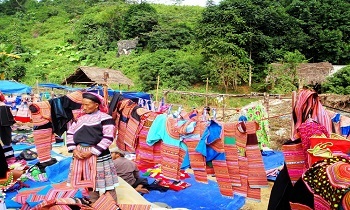 This is a Dao ethnic minority, to walk around the village or visit the cave if you like to bathe leaves here. 10h30: On the way coming back, you can also stop to take pictures, or if riding a motorcycle, you can go around exploring the beautiful sceneries. The road from the main road to the village has a deserted church which is also pretty. 12h00: Have lunch at Sapa. Afternoon to rest or play in Sapa before returning to Lao Cai Station, back to Hanoi. 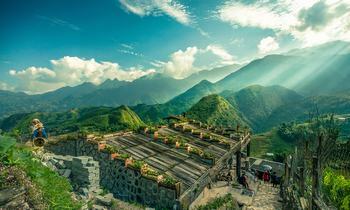 Note: If you want to climb Fansipan in 1 day, you can go on the 2nd day (spend all day climbing Fansipan). Day 1 and Day 3, you can arrange flexible to move to the above-scheduled destinations. 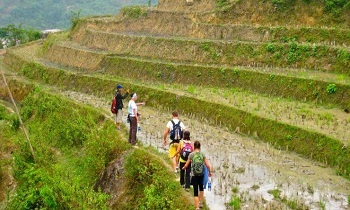 Find out some Sapa trekking tips here. This place is quite popular with the passion of backpacking because tourists are often challenging to come to Y Ty as roads are difficult to travel. Y Ty is beautiful thanks to the terraced fields. 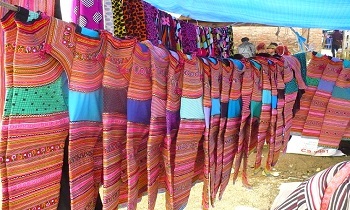 It is also beautiful and fascinated by the one side of the mountain and one side of the village of Ha Nhi. People are living quite simply and friendly, children playing in the fields after the season, the girls gathering to embroider. 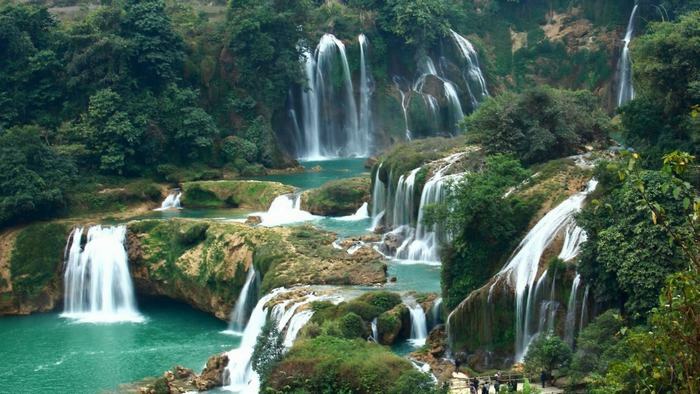 You can also drive along the border of Vietnam, go to the source of the Red River (where the Red River pours into Vietnam). The schedule only applies to motorcycles. Day 0: You board the motorbike, overnight at the train to Lao Cai. Day 1: Ride from Lao Cai to Bat Xat, Lung Po. Going along the border, you also forgot to mark the one column on the road. In the evening, you sleep at Y Ty. Day 2: Ride to Sapa. Through Den Sang, Muong Hum scene is quite beautiful. Notably, close to O Qui Ho Pass, you can stop shooting with the clouds if it is in the spring. If day two you want to play more in Y Ty, you can ride your motorbike to Ngai Thau, Hong Ngai (for those who love offroad). Overnight in Sapa. Day 3: Play in Sapa, choose one of the points in the above schedule, back to Lao Cai, and wait for the train back to Hanoi. Note: You can also rent a motorbike in Sapa for medical treatment with a different schedule. Early in the morning, rent a motorbike in Sapa and drive to Y Rat. Overnight at Y Ty. In day 2, drive to Lao Cai. You should agree with the car owner to give the motorbike back in Lao Cai (paying the cost to avoid going to Sapa to give the motorcycle again. 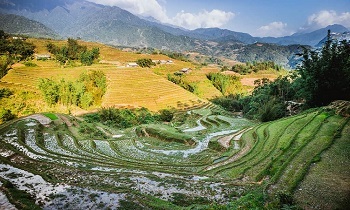 In day 2, if you start from the early morning, you can return to Lao Cai and take the train to Hanoi. If you choose the berth car passenger, go to Sapa to give the motorbike back and then take the passenger car. 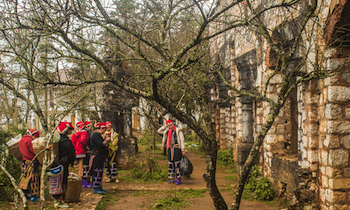 Also, you also can refer to several Sapa tour three days four nights. Hopefully, the suggested itineraries will be helpful for your trip. Have a nice journey in Sapa!